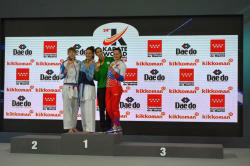 The 24th World Karate Championships were held in the capital of Spain, Madrid, on November 6-11. The achievements of the Azerbaijani sportsmen have also been proved here. Azerbaijani sportsmen have succeeded in the championship. 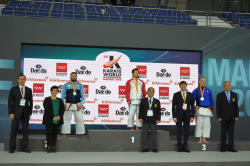 Azerbaijani National Karate Federation told Trend that Azerbaijani sportsmen concluded the championships having won one gold, one silver and one bronze medals. Azerbaijan ranked seventh among 140 countries. 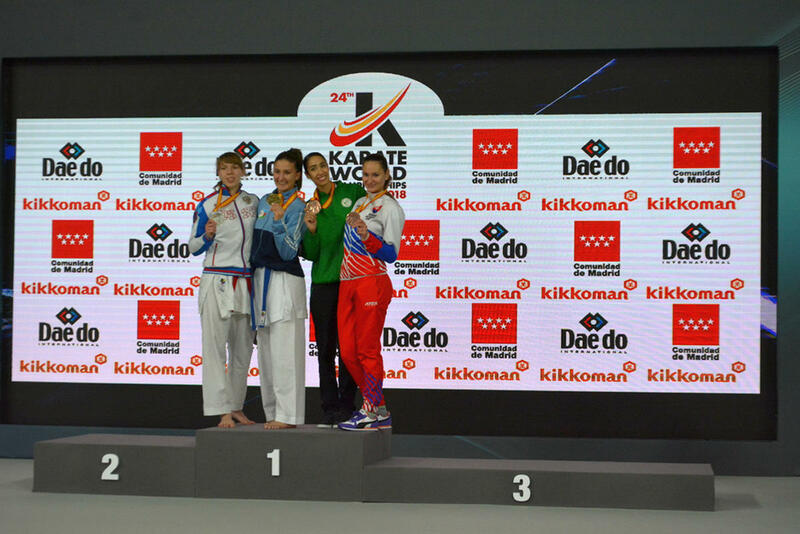 Azerbaijani karate fighter Irina Zaretska claimed her first ever world champion`s title as she triumphed in Madrid, while Rafael Aghayev won bronze. 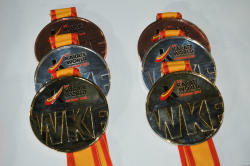 It should be noted that Azerbaijani brilliant karate fighters have already signed many achievements to date. Irina is the owner of the gold medals at the Premier League Karate1 in 2014 and in 2015, also recently won silver medal at the Premier League Karate1 in 2017. Rafael Aghayev, nicknamed “black brilliant of the karate world” has claimed a title of the European champion for 11 times. Our national team of men finished the decisive round with Japanese sportsmen score of 2:2 for a bronze medal, but missed 4 points and the chance to win. 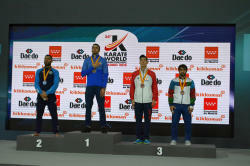 Among 27 participants of the World Championship, a record number of sportsmen have been awarded medals. Our sportsmen have increased their rating in both the world rankings and Tokyo Olympics. National fighter Sahib Ahadov has reached the final in para karate, but, unfortunately, grabbed silver medal, being 0.9 points behind his Japanese opponent. The only Azerbaijani representative among judges in the competition, the international judge Jahangir Babayev, was entrusted to run the final matches. As many as 1,117 sportsmen from 140 countries participated in the 24th World Karate Championships, and 100 sportsmen from 33 countries in para-karate. Azerbaijan ranked eighth among 33 countries. Overall, eleven sportsmen won medals in para-karate competitions.